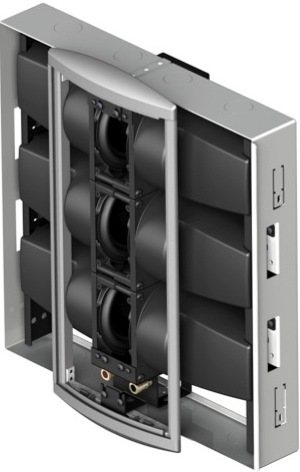 BG Radia announced the BGX-S6B ($600 each), a new addition to their groundbreaking BGX In-Wall Subwoofer systems. Initially launched in 2008, BGX is an award-winning, critically-acclaimed architectural subwoofer system that incorporates advanced design concepts and technology developed by THX into a unique design suitable for today's homes. The BGX-S6B ($600 each) is simply a half-sized version of the original BGX-S12B bass module. 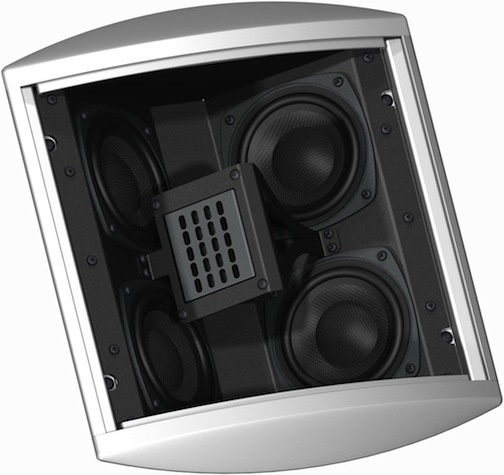 This “mini-sub”, approximately 14″ square and less than 4″ deep, allows integrators to utilize multiple subwoofers to achieve smooth and accurate response throughout a room, yet it takes up almost no space. The BGX-S6B joins the rest of the BGX line consisting of the BGX-12B module ($1,000 each) and the BGX-A2 1200 watt dual channel amplifier/processor ($1,500). A four-module, two amplifier system (formerly the BGX-4850) achieves THX Ultra2 certification and is ideal for large, reference home theater systems ($7,000). A two-module, single amplifier BGX package, is well-suited for medium-sized home theater rooms and is priced at $3,500 MSRP. All BGX models are available to order and shipping now from BG Radia. The BGX reference four-module subwoofer system is the first in-wall subwoofer to achieve THX Ultra2 certification as well as the first audio product to incorporate THX Balanced Bass-line, a proprietary THX technology for delivering vibration-free bass from a very compact speaker design. The BGX-SB12 bass module contains twelve micro-precision woofers, each sealed in an airtight enclosure, and arranged in six balanced pairs. 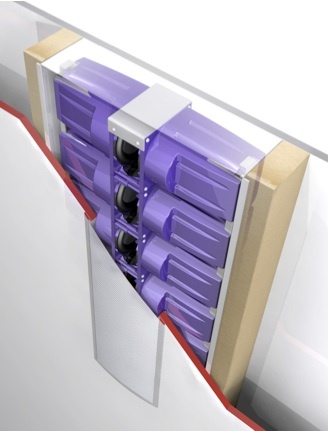 Four modules have a total radiating area equal to two 18 inch drivers, yet fit completely inside a standard 2×4-inch stud-wall. 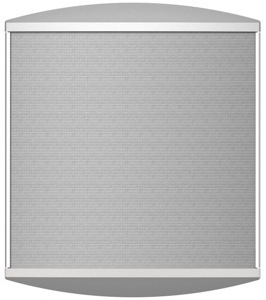 All that is visible to the listener is a tall, slim grill 26.5 inches high and just 7 inches wide (per module). Because the subwoofer modules are entirely self-contained, they do not rely on the wall cavity or a separate back-box, to deliver resonance-free, natural bass. With twin BGX-A2 amplifiers producing 2400 watts of power, the BGX THX Ultra2 Certified Subwoofer is easily capable of producing lifelike playback levels with even the most demanding entertainment content. The amplification, digital signal processing (DSP) and control are all contained within the A2 in a single 2u high, 19-inch rack mountable controller/amplifier unit. An easy-to-use remote control is included. THX Balanced Bass-line technology eliminates sound coloration due to wall vibration providing deep, well-defined bass.